*Have an University Bachelors Degree. 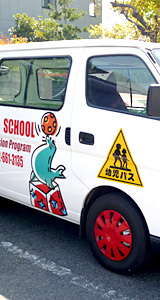 UPBEAT International School is a privately owned school located in Atsuta ward and Nakagawa ward in Nagoya. [Closest subway station: Rokubancho (2 stations after Kanayama on the Subway line)] UPBEAT has a growing reputation in the area and has increased student numbers every year since opening. We are seeking an experienced English teacher, currently residing in Japan, who can help us build on our positive reputation and continue to grow. UPBEAT consists of almost 25 people with multiple nationalities and cultures, so being a team player is a crucial element of this job. Student ages range from toddlers to adult, though most are in preschool/elementary school. Class sizes are limited up to 8 to 12 students according to their age, giving both students and teachers the advantage of more one on one attention. This school is ideal for a person who is self-motivated, energetic, creative and loves kids! students with the best possible English instruction. Our goal is to always give every student a safe, disciplined, educational and, of course, fun environment. If you share this philosophy, we look forward to hearing from you very soon! *Have Experience Working with Kids. *a Minimum of One Year Teaching Experience in Japan. *be able to Work for One Year (or More). *be a Very Good Communicator. Copyright (C) 2011 UPBEAT International School . All Rights Reserved.